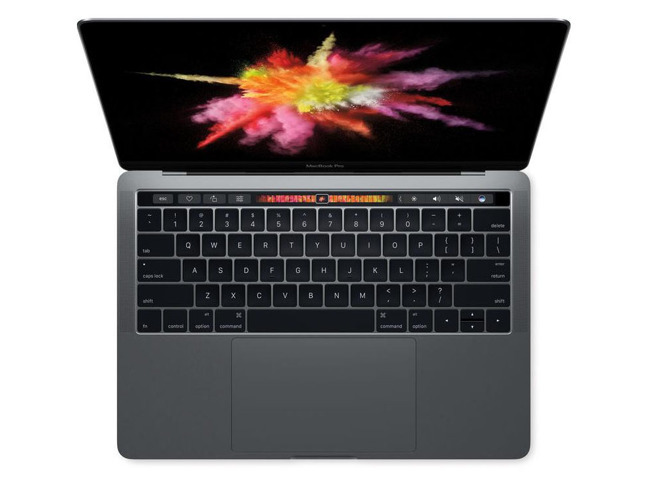 DEAL EXPIRED: B&H Photo this week is taking $200 off Apple's Late 2016 13-inch MacBook Pro with Touch Bar in Space Gray, bringing the price down to $1,599.00. This exclusive discount is available only to AppleInsider readers using the pricing links in this post. Plus, B&H is throwing in free expedited shipping to contiguous U.S. addresses, and the Apple authorized reseller will not collect sales tax on orders shipped outside NY and NJ, making this offer $345 cheaper for many shoppers outside those two states compared to paying full price with tax at the Apple Store. According to our 13-inch MacBook Pro with Touch Bar Price Guide, this exclusive price is $50 to $130 cheaper compared to shopping at another Apple authorized reseller as well. To activate the exclusive price, simply click through one of the $1,599.00 pricing links in this article. If you do not see the advertised price after clicking on the pricing links above, try loading this article in a private browsing window on your Mac or iPhone and try the links again (at this time, the offer cannot be activated through the AppleInsider and B&H apps). If you still do not see the correct price and you think all hope is lost, it isn't; just drop us a line at [email protected] and we'll do our best to help you out. You can easily tack on an AppleCare extended protection plan to this 13-inch MacBook Pro from B&H at a discounted rate of $229 by selecting the AppleCare option immediately after you press the "Add to Cart" button on B&H's website. Or just use this link.